Zeger Degraeve became the Dean of Melbourne Business School in 2011 and Co-Dean of the Faculty of Business and Economics at University of Melbourne in 2013. After completing his PhD at the University of Chicago Booth School of Business, Zeger became a Professor of Management Science at the Katholieke Universiteit in his home country of Belgium before joining London Business School in a number of roles over 12 years, including Associate Dean of Executive MBA and Global Programs and, later, Deputy Dean of Programs while serving on the School’s executive management committee and board of governors. It was here that Zeger was appointed the inaugural Sheikh Mohammed bin Rashid Al Maktoum Professor of Innovation in recognition of his innovative work in establishing London Business School’s centre in Dubai for the first time. Zeger has published more than 50 research papers in leading academic journals, including Operations Research, Management Science, INFORMS Journal on Computing, European Journal of Operational Research and Harvard Business Review. His research has won several awards, most notably from the Association of the European Operational Research Societies for the best applied paper and the Chairman’s Award for the best applied contributed paper by INFORMS. Alongside his academic career, Zeger has also worked with businesses, such as Cadbury Schweppes, Rio Tinto, Shell, HSCB and others, on executive education programs and consulted for the European Commission, Andersen Business Consulting, National Economic Research Associates and McKinsey and Co.
Zeger is a frequent media commentator in Australian and International outlets, including the Financial Times, The Australian, Australian Financial Review, The Age, Herald Sun, The Conversation and other media titles. I was born and bred in Belgium, when I look back at my career I am surprised by how much have I have been influenced by my parents. In my late 20s or early 30s I was convinced that I was completely rebelling against their wants and their hopes for me. However, looking at the position I am now in I realise how I have completely conformed, that I have become a combination of both of their professions. I became a teacher like my mother and a manager like my, father who was the manager of a sizeable bank, albeit in a different industry. My father is still alive and I know now that he is now proud of what I do, although it was not what he had pictured for me when I was younger. I graduated from engineering school and went into the engineering of engines, it was very interesting work but I wasn’t completely content because of the fact that we never knew whether our designs were also economically viable. I wanted to understand business to understand the costs and investments required, so I completed a further degree at business school. Upon completion, my father told me that I had done enough studying, that it was time for me to come and work in his bank. That is when I discovered that there was an opportunity to stay on at school as a research assistant, I knew that I loved learning and that I did not want to go to work in my father’s bank. I thanked my father for the offer but was quick to inform him that I was unable to work at the bank as I was already employed, and able to earn a salary while being able to research and teach. My father accepted my decision although he was quick to point out just how low my salary was. A few months into the research assistant position, the professor I was working for got a request from a colleague in the US for doctoral students. The professor suggested that, given my interest in research, I go and study in the US given the greater resources assigned to research and the reputation of a number of the American schools. In the field of researching, you grow into the position as it is not something that you can be familiar with until you start doing it yourself. I applied to three schools, and was admitted into two of them before I decided to take up the offer at the University of Chicago. I packed my bags and got on a direct flight from Brussels to Chicago, I finished my doctorate in 5 years. There were periods, probably between 2 to 3 years where I was basically living like a Monk in a small room where I could stand in the middle of the room and with my two arms outstretched I could lean on the spot and touch the opposite sides of the room. At the age of 30 I was living in this tiny room, eating terrible dorm food which all tasted like chicken with just two suitcases full of t-shirts and jeans, and with very little money. The treat of deep crusted pizza that Chicago is so famous for, was something I could only afford once a month or so. To do your doctorate you need to make a contribution to science, you need an original idea that hasn’t been discovered before. This requires a focus and commitment over a significant period of time as you first have to familiarise yourself with the existing knowledge in the area before you can then go on to make your own contribution. Often finding something new happens by accident, but without engaging in it and doing it, then you will never discover that something new. While there is an element of luck involved, there is also a process of discovery. I learned to model decisions, a model is an abstraction or a description of the decision that a person is making and then casting it in mathematics. When you are able to put it into a mathematical description, you can then feed it into a computer which can then mathematically determine what is a good decision and what is a bad decision. You can make contributions in the way in which you turn these problems into mathematical descriptions or you can make contributions through the way that the computer systems then analyse and respond to these descriptions. The professor who I had worked with just after college in Europe, hired me once again and I spent 7 years on the faculty at the University. I essentially taught MBA students predominantly in their 30s, before I moved into teaching mainly executive MBA students. I was in a small team doing intensive teaching in the school’s corporate teaching department, working with big clients such as Nestle, HSBC and the Royal Bank of Scotland. After 6 years of teaching I started doing significant program administration for the London Business School, I was a program Dean for the school, part of this involved starting a campus for the London Business School in Dubai. In a leadership role, you are able to expand your impact, as a teacher you can work with your class to develop your class which is exciting, but academic administration allows you to have an impact on many classes as opposed to one. The extent of your reach and contribution becomes wider than it is as a teacher. Back in 2011 I had stepped down from all my administrative responsibilities at the London School of Business as I was back to being an academic, I thought I had finished my service in a leadership position. I enjoyed teaching and researching, it is captivating work especially when you are making progress where you can hardly sleep as you are so excited by the potential. I had been contacted previously regarding my interest in being a Dean of different business schools but in early 2011 I had just turned 50 when I received a call from the Melbourne Business School. They asked if I would consider being a candidate for the position as Dean of the Business School, I thought at my age it was now or never. I knew I could continue as an academic for a further 5 years and then think about retiring, or I could take this opportunity where I could do a first term of 5 years and potentially another term after that. There were a number of interviews and meetings via Skype until I came over to Australia for the first time in my life, to meet with the board and with the faculty team. I flew back to London where I was offered the job as the Dean of the Melbourne Business School, which I accepted and by the end of 2011 I was in Australia permanently. I liked the culture of the school, its reputation and the team that were involved. However, I saw a lot of potential for change, I saw plenty of opportunity to improve its outcomes and to make a real impact. There was a great sense of release when Bloomberg released that the Melbourne Business School had made their list of the top 10 MBAS in the world. In academia, we don’t have a share price that reflects the expectations of the evolution of the company. It is still early days for Melbourne Business School but we are seeing signs of an improved perception of the reputation of the school. The lack of feedback in academia means that you can never be certain if you are doing the right thing, however the rankings now show that we are progressing at a greater rate than most of our competitors. The best piece of advice that I have is to figure out what it is that you are good at, to become really good at what you do you have to be persistent and do it over and over again. You also need the encouragement of small successes, it can’t be a consistent slog. I enjoy the little luxuries in life, not great extravagances but I enjoy good quality. I have a small house but it is perfect to me, it’s in perfect working order. I don’t like big things but I like good quality things, from my house, to my car, to my wine and this is what I want for the Melbourne Business School too. I have developed my own quote which I believe should guide every person and that is ‘what would I do for free?’ Of course, we want market compensation for the contributions that we are making, but what do we consider it fair for us to do for free. I would do my job for free out of passion, but in terms of a market that would not be fair for me. At the end of the day we have to ask why we are all here, no one asks to be born but all that we can do that is meaningful is to work in order to improve the quality of life that we all enjoy, to help others to create a life for themselves. 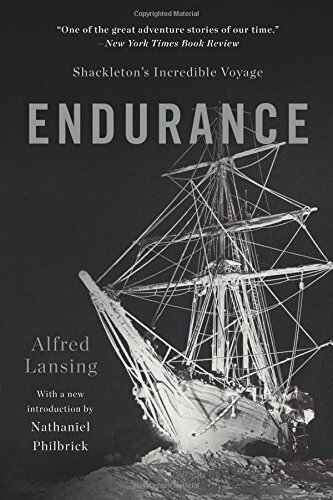 The book that I have found most captivating is Endurance: Shackleton’s Incredible Voyage by Alfred Lansing, which is the story of Ernest Shackleton’s exploration of Antarctica. It is a story of skill, persistence and of good process. My contact details can be found on the Melbourne Business School’s website, mbs.edu. I am happy to talk to anyone who is interested in the Melbourne Business School which is a small scale but high quality institution.